Police in India Raids Mumbai Based Call Centers Involved in IRS Call Scam. Latest Educative Article on Tax Scam phone call scams. News papers india have reported (October 05, 2016) a major crack down in the city of Mumbai, India on illegal call centers involved in duping Americans by posing as the United States tax officials. The scammers have swindled more than 75 million dollars from hard working Americans in the past one year, alone. "It could be the tip of the iceberg and the amount could multiply as our probe progresses," said Thane police commissioner Param Bir Singh, adding that there is a possibility that people in the UK and Australia too could have been conned. Singh is leading the investigation into one of the most daring tele frauds that has led to the arrest of 70 people so far. 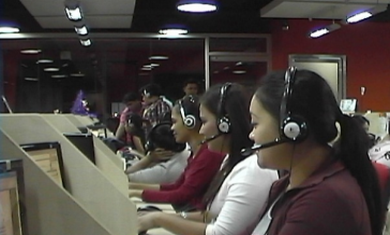 Showcause notices have been slapped on 630 other employees of the illegal call centre. The employees would pose as officers of the US' Internal Revenue Service, threaten US citizens with arrest for tax default and persuade them to make online payments worth $500-3,000 to escape landing behind bars. Sources said multiple US federal agencies have got in touch to get details of the scam, particularly of the gang members who were in the US and helped gather contact details of the targets. TOI was the only newspaper to report the late-night raid+ by the Thane police and the gravity of the fraud run by three illegal call centres that would function 24x7 in three shifts from a seven-storied Delta building near Royal College in Mira Road. The owners of the call centres evaded the cops, but among those arrested is Haider Ali Ayub Mansuri (24), a graduate who is a director in one of the call centres. A manhunt has been launched for the owners. In Tuesday's late night raid on an illegal Mira Road call centre, a total of 852 hard disks, high-end servers, DVRs, laptops and equipment worth Rs 1 crore was seized. Of the seven floors in the building, the top one was used for training the employees in the elaborate con of robbing US citizens by posing as US taxmen, and the others -each with as many as 100 internet connections -to make the calls to the victims. "The three call centres--Hari Om IT Park, Universal Outsourcing Services and Oswal House--were collectively pocketing around Rs 1 to 1.5 crore daily. The caller would use the VOIP technology using a proxy server and make hundreds of calls: the strike rate was anywhere around 5%. But the amount they stole from the innocent people is mind-boggling. In one case, one of the victims shelled out $60,000 just to escape a so-called raid on his house by taxmen," said Singh. The police suspect there may be a couple of more business partners in the call centres who shared the profits. Documents seized from the building are being verified and studied for more clues. "We worked on information and raided the place. We will now share the information with the US," said Singh. He added that they had tried to carry out the raid on two earlier occasions, but had to abort for some reason. They were successful on Tuesday night. State police chief Satish Mathur was kept in the loop and permission taken for carrying out the raid in Mira road. Three cases have been registered, two at Kashimira police station and one with Naya Nagar police under IPC Sections 384 (extortion), 419 (cheating by impersonation),420 (cheating) and also sections 72(1) (breach of confidentiality and privacy), 75 (Act to apply for offence or contravention committed outside India) of the IT Act and also section 25 of the Indian Telegraph Act. Giving details of the modus operandi, Singh said the callers in Mira Road used to call up a target in the US using internet telephony and tell him with a heavy US accent that he had defaulted on taxes. He was threatened that he had better pay it off immediately or else IRS officials would visit his house with the police and arrest him (see box). The caller during the conversation would make a demand as high as $10,000 and later settle for $500 to 3,000 and ask them to make the payment through pre-loaded cards. They used to create fear in the minds of the targets and threaten them of dire consequences before extracting the money . The reference number and registration number of IRS officials was made use of for the purpose the police chief said.